The sumo wrestler quietly, yet commandingly, nears. The air around him vibrates with the movement of his body. The photographer who had been watching him intently casually beckons him to stand in front of the camera. The wrestler takes his place in front of the photographer as if he already knows how this is going to unfold, and the photo shoot suddenly begins. “Hakuho” was shot very decisively. And now that portrait stands before us. 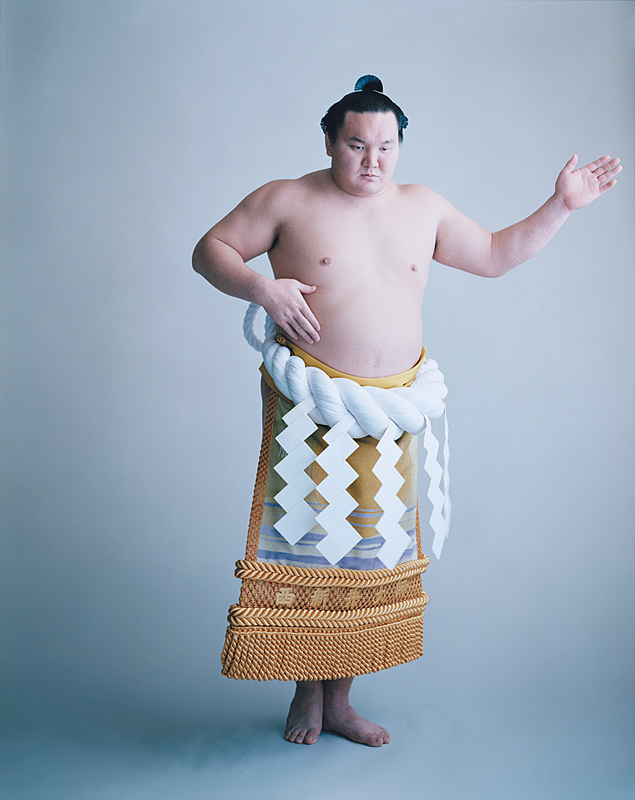 The person in the photograph is unquestionably the great yokozuna of this generation, Hakuho Sho. The scent of his hair wafting from his fan-shaped topknot; the pure, whiteness of the sacred rope around his waist; the lustre on the silk of his elegant ornamental apron; the well-balanced energy exuded from his beautiful physique. The same photograph also captures the Shinto ritual that is sumo wrestling, practised by so many wrestlers over thousands of years and handed down to generation after generation. There may be no limit to what a photograph is capable of expressing.